I am so excited to share our newest item to grace our Fawn Over Baby Etsy Shop! Along with our wooden toys cameras, blocks and additional Waldorf inspired baby/toddler toys, we have added a hand crafted Wooden Baby Play Gym! Our All Natural Wooden Baby Play Gym is the perfect addition to your baby toy collection as it provides an exciting way to explore and play while laying on their back. It promotes early motor skills such as head turning as well as reaching and grasping all while exercising their hand-eye coordination. 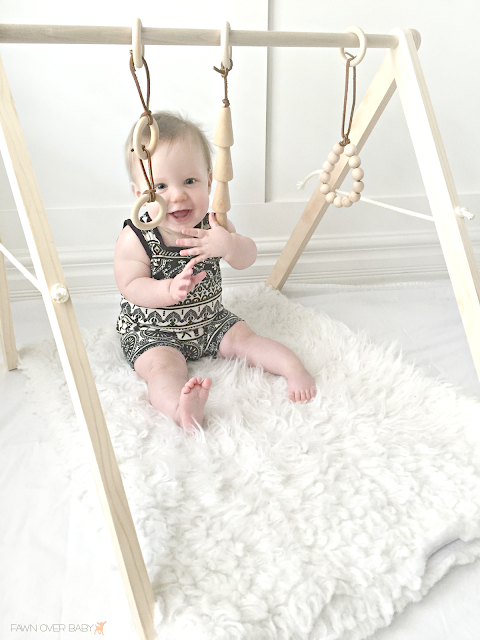 This All Natural Wooden Baby Play Gym provides a stylish way for baby to play without over stimulation and will coordinate with any theme or design in every space of your home. 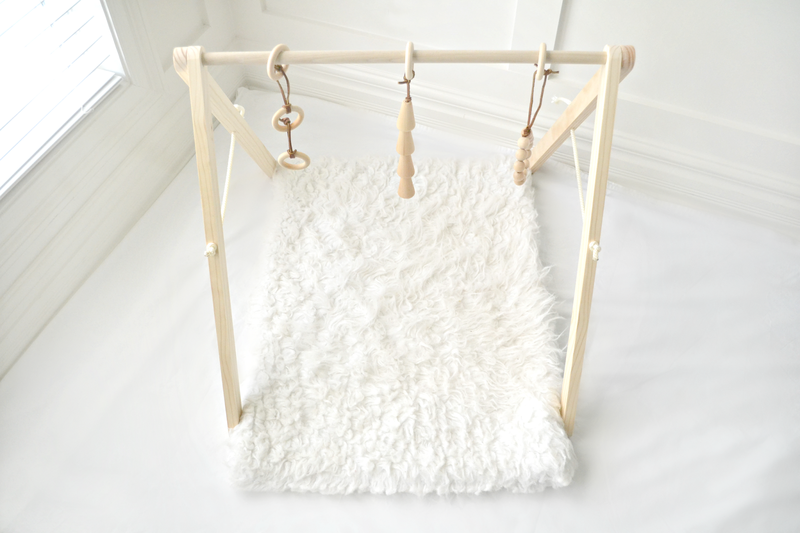 This Baby Gym comes complete with an adjustable wooden stand and three wooden rings that hang on the top bar allowing for easy hanging of your baby's favorite toys. As your baby's interest and development grows, simply remove and replace with new toy of choice. 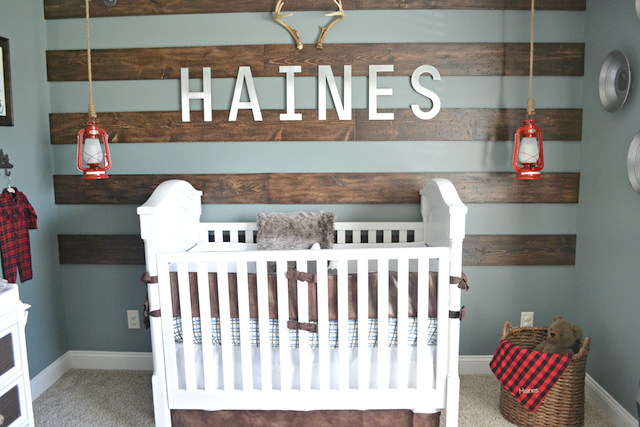 In addition to, this gym is adjustable to create just the right height for your baby's reach. First, simply remove baby from play area, un-tie the attached ropes, adjust to your preferred height, re-tie and knot! With it's timeless look and built-to-last construction, this wooden baby play gym would make for an excellent gift for the lovely expectant mother in your life or an upcoming sip and see. 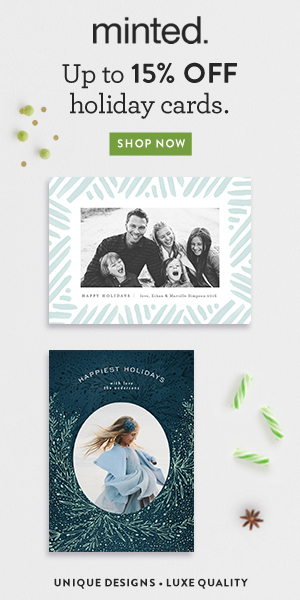 Whether you are in search of a gift for your next baby event or simply would like an understated way to entertain baby while not comprising room design, stop by the shop and browse all of our items that were created with you in mind. P.S. -Because we are so excited about our new addition to the Fawn Over Baby Shop, we are offering our first 10 wooden baby play gym customers 10% off their purchase by using code: "FIRST10" at checkout!! This is adorable. My cousin is a teacher at a Waldorf school and anything along the lines of Waldorf are awesome by me.